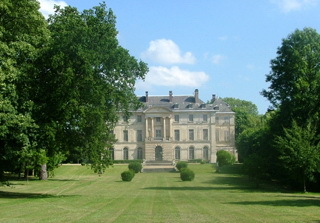 Built in the eighteenth century, the Château de Montgobert belonged to Pauline Bonaparte, sister of French Emperor Napoleon I. This house later became the property of Marshal Davout, then, families Suchet Cambacéres and Albufera. The castle of Montgobert is surrounded by a romantic park designed in the nineteenth century and rebuilt in the twentieth century according to plans Duchêne. On site: regional museum with a collection of tools, woods, hunting, war of 1914-18. Regional museum : forest, venery, first World War.